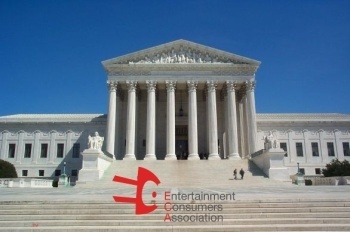 The Entertainment Consumers Association is holding a rally for free speech at the Supreme Court on November 2 and it wants you to be there. November 2 is going to be a big day for the videogame industry, and for gamers across the U.S. and around the world. That's the day the Supreme Court of the United States will hear arguments on California's proposed law to regulate the sale of videogames to minors. It's also the day the Entertainment Consumers Association is holding a rally to support free speech and show the Supreme Court Justices that gamers take their First Amendment rights seriously. The rally is scheduled to take place at 9:00 am on November 2 at the United States Supreme Court building, located at One First Street, NE, Washington, DC. It's a pretty big place so it should be easy to find, but here's a Google maps link just in case. To answer all the inevitable questions about why California's law is a bad idea, I'll simply point out that we've discussed the matter at length here at The Escapist and suggest you go read a few of the relevant articles. Or, if reading's not your thing, just watch this episode of Extra Credits. If you're planning on swinging by the D.C. area on November 2 to help out, be sure to let them know you're coming by registering for the event at theeca.com. Sign up, invite some friends and spread the word!